I am always surprised by what crafts keep my boys attention for long periods of time, this being one of them… I really thought this one might take us a few minutes and then we’d move on, I was wrong! They were having a lot of fun decorating their Christmas trees! 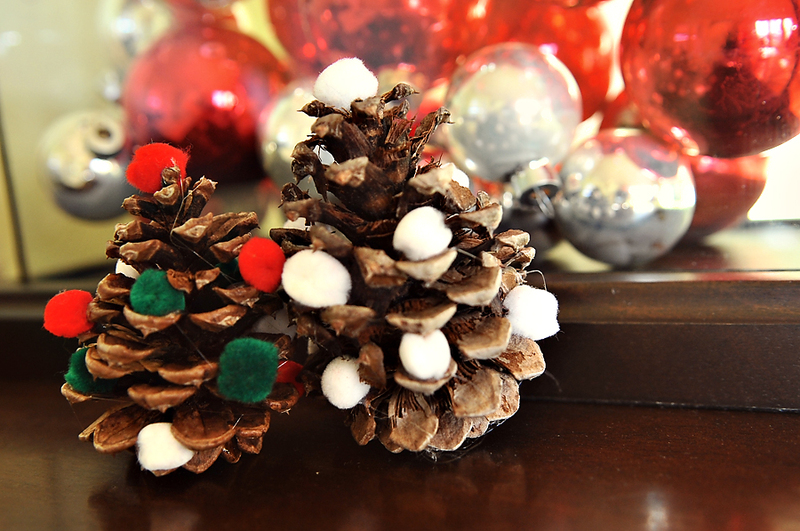 We were able to use some of the craft supplies we had around the house along with some cinnamon pinecones I purchased (cinnamon scented only because that’s all they had). 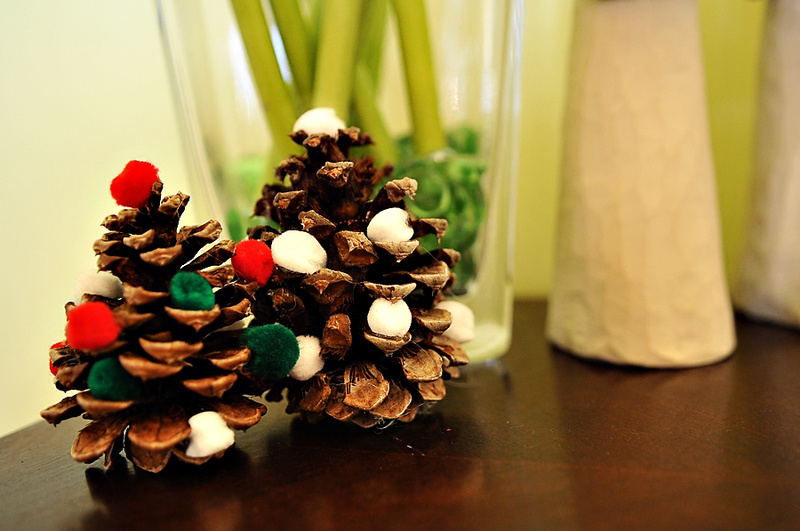 We made several Christmas trees with all sorts of colors and sizes of pom poms. I did use hot glue to attach the pom poms, but I think school glue would work too. 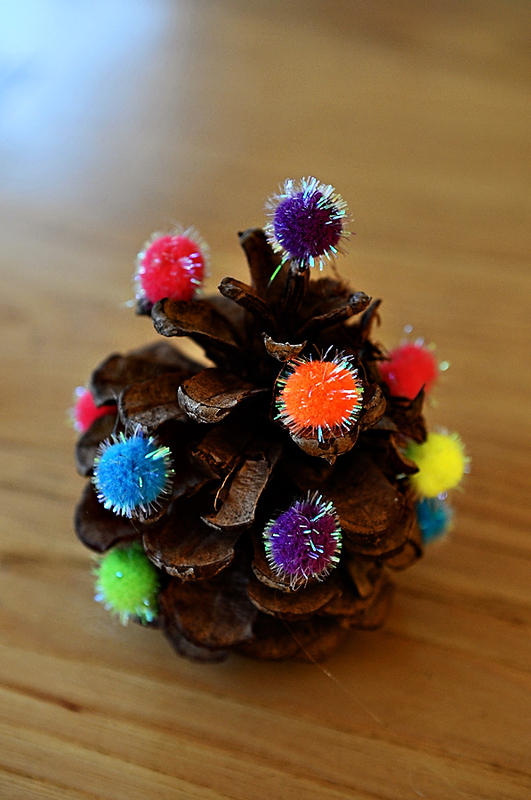 I put a dot of glue on the pom pom of my child’s choice and let them attach it where they wanted to. Again, super easy, but they loved it… It was pretty fun to see their patterns, color choices, and pom pom placement as we went along… My oldest deliberated about his trees long enough to dry his glue a couple times :). We currently have these scattered around our Nativity scene making it look very festive for the birth of the baby Jesus!